Article by M. G. Satchidananda: " A pilgrimage is an adventure in Consciousness"
At the turn of the year into 2018, our Acharyas Satyananda and Kriyanandamayi will lead a group of pilgrims of the Babaji’s Kriya Yoga community on a pilgrimage to Sri Lanka. 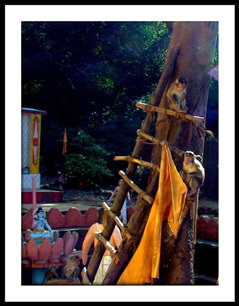 This is our first pilgrimage tour exclusively to Sri Lanka! 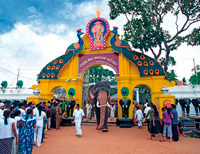 This makes the tour interesting for those, who have already attended our pilgrimages to South India and the Himalayas, and for those who are especially interested to experience Sri Lanka. 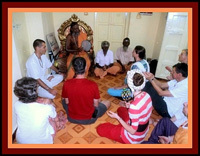 Satyananda has been teaching Babaji’s Kriya Yoga in India annually for more than a decade now and led many pilgrimages to South India and Sri Lanka for Babaji’s Kriya Yoga. 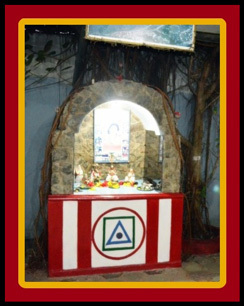 Kriyanandamayi resides and teaches in Sri Lanka and leads and takes care of our two ashrams in Sri Lanka. Our itinerary covers beautiful destinations of spiritual, cultural and natural value. 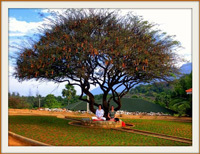 Experience holy places of an ancient spiritual culture and enjoy the beautiful nature views of Sri Lanka. 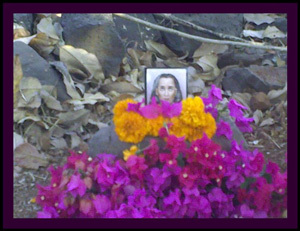 Practice daily Kriya Yoga under guidance, in sacred sites, at temples or shrines, in high mountain areas or right on the beach of the Indian Ocean, and in our two ashrams of Babaji’s Kriya Yoga. 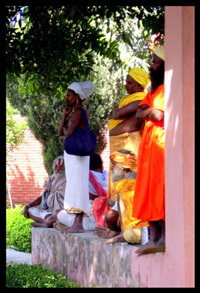 We also visit our two Babaji’s Kriya Yoga ashrams in Sri Lanka. 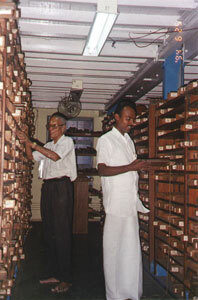 One is located in Dehiwala south of Colombo, right at the beach of the West Coast, where regularly initiations into Babaji’s Kriya Yoga and satsangs are held and special religious holidays are celebrated by Acharya Kriyanandamayi and local kriyabans, our second ashram lies quite hidden right at a small forest river at the South Coast of Sri Lanka in Katirgama, which is a significant place of pilgrimage worshipped both by Hindus and Buddhists simultaneously, with one of the 7 important Muruga temples and a big Buddhist stupa. Most international arrival flights for persons coming from Europe depart on December 30th (or 29th) and for persons coming from North or South America on December 29th. Arrival in Sri Lanka is December 30th, destination airport is the International Airport Colombo [CMB]. Our first night stay is the Anarva Siddhalepa Resort in Mt. Levinia south of Colombo near our ashram, where we will stay for the first three nights, December 30th, 31st, and January 1st. The pilgrimage officially starts there on Sunday morning, December 31st 2017. It officially ends on Friday at noon, January 12th 2018, at our last destination, the Hikkaduwa Beach Hotel, with direct connection to the international airport of Colombo (drop-off 1.5 hrs via highway), for international flights leaving at night or in the evening of January 12th. This period includes 13 nights. Our round-trip through Sri Lanka will bring you from the capital Colombo in northeastward direction via Kandy to Dambulla in the mountainous central province, then southbound via the Nuwara Eliya plateau into the southern province to Katirgama and along the West coast back to Colombo. 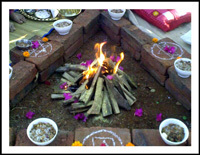 Right at the beginning of our tour, spend New Year’s Eve and Day with us, in a quality Ayurveda resort hotel near the beach and in our Babaji Alayam ashram, with the opportunity for resting, or some ayurvedic treatment, as well as guided dedicated Kriya Yoga sadhana during those two special days of the year. 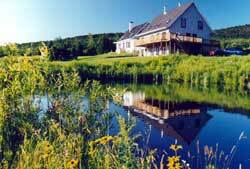 Meditate in a traditional buddhist meditation retreat center located in mountain hills. Visit several famous Buddhist heritage sites and temples, the huge ‘Tooth’ temple with a tooth relic of the historical Buddha in the old colonial town of Kandy with traditional dancers, the ancient cave temple and the modern ‘Golden’ Temple in Dambulla right at the heart of Sri Lanka, and the UNESCO world cultural heritage site of the outstanding ‘lion rock’ with its frescoes paintints of the ‘cloud ladies’ in Sigiriya. 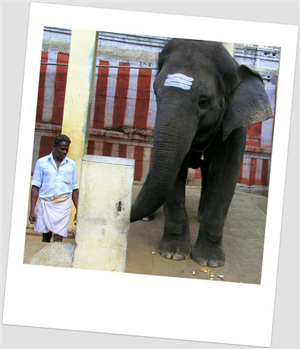 Travel through nature reserves and national parks of the central mountain range and visit elephants in a unique orphanage especially for elephants. In the high mountain area at Nuwara Eliya, visit one of the tea plantations for the world famous Sri Lankan tea, and the Sri Bhakta Hanuman Kovil temple, a holy site of ancient India’s epic Ramayana. 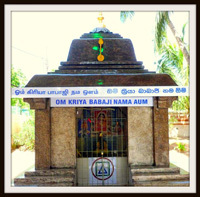 Attend a Hindu puja ceremony in the Muruga temple next to the Babaji mandir, where Siddha Boganathar consecrated a powerful yantra in the inner temple sanctum. 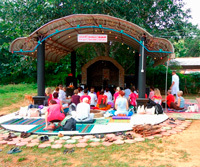 Practice and chant around the purifying sacred fire of a mantra yagna with mantra initiation, and spend time in silence at our beautiful small Babaji ashram site in a sylvain environment on the banks of the small Manickaganga river. At the West coast of Sri Lanka, in the small town of Hikkaduwa with a known postcard beach, enjoy direct sea view, beach walking or bathing in the Indian Ocean, or make a short boat trip to its famous coral reefs. 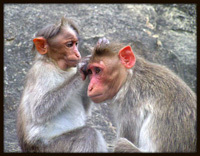 Give your body a treat with ayurvedic massage and food at the beginning or the end of the trip. Use the special opportunity of this pilgrimage for your New Year’s transition, as a prelude to your own inner pilgrimage; the unique environment and time support you in deep inner self-transformation, reorientation, release and renewal. In a pilgrimage, we seek to come close to the Divine by visiting, worshipping and meditating in sacred places which have been sanctified by the spiritual practices of Saints, Mystics and Yogis, and which consequently provide a terrestrial doorway to the infinite and absolute. 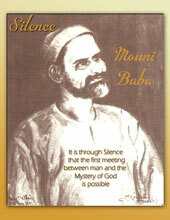 In such places one can easily obtain a direct inner experience of the Divine Presence. The character of the whole tour is imbibed with the vibration of such a traditional pilgrimage. 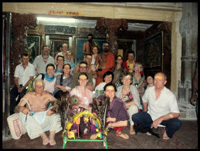 This tour is not designed to be a tourist trip, but rather to support you in your spiritual aspirations and sadhana. It is scheduled to coincide with the most pleasant warm weather conditions in high peak season. The hotels have been carefully selected for their Western style comfort and facilities. Ground transportation will be in a comfortable air-conditioned bus. There will be regular group practice of Kriya Yoga and a daily satsang sharing of outer and inner experiences, guided by our Acharyas, to deepen your experience. Get enriched by also sharing with local Kriyabans. It will be an unforgettable transforming experience in the land where Hinduism and Buddhism meet and join with Yoga and the Siddha tradition, which will inspire you and enable you to appreciate the rich cultural tapestry, which has given birth to Babaji's Kriya Yoga. More details about the journey and its preparation will be given after registration. The amount for participation in the proposed trip payable to the tour organizer is EUR 2,100 or US$ 2,300. This amount includes the costs of local ground transportation by bus and hotel accommodation for the 13 local nights of the proposed itinerary. Not included are the flight tickets for your international return flight, your tourist visa, and your daily meals, according to personal meal preferences, which vary on average around 10-15 Euros/Dollars per day. Rooms for the group are reserved as double occupancy with single beds (king size beds depending on availability, international hotel booking standard does not guarantee bed type of double rooms). Single occupancy can be reserved on demand for additional EUR 700 or US$800 or C$1052 which covers the hotels’ single room rate difference. To register for the tour, email to Marshall Satchidananda, or call the Quebec office at <+1 450-297-0258>, or email to Satyananda. Make a deposit of EUR 300 or US$450 to reserve your place, or pay the full amount at once, with your credit card here, or if you you are in Europe, and you prefer to pay by bank transfer, pay by bank transfer to the Deutsche Bank account of M. Govindan, IBAN: DE09500700240072310600, BIC (Swift code): DEUTDEDBFRA, with subject: Sri Lanka Tour 2018. The deposit should be paid as early as possible after registration to ensure your place. The balance of the amount must be received latest by November 1st, 2017, (required for advance payments to ensure reservations). Is booked by the tour organizer for 13 nights from Saturday, December 30th, 2017, until Friday morning, January 12th, 2018. We offer you help with the booking for your local hotel accommodation for the days before or after the official itinerary, which have to be paid individually, in case you choose to arrive early or depart later or continue your individual journey.